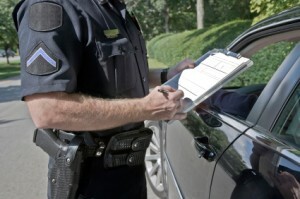 Did you get a speeding ticket in Nassau County? Don’t go to court alone. Guy Allen is experienced in getting traffic tickets dismissed before you go to court. Getting a speeding ticket in Nassau can subject you to a costly fine, points on your license and a possible increase in your insurance premium. Depending on your past driving history, a speeding ticket may result in the suspension of your license. Take the matter seriously. The County will. They will be represented by an attorney. You should be too. The Red Light programs has been one of the “innovative” ways local governments have recently used to “create revenue” These programs involve the county placing cameras at various intersections throughout Nassau County. These cameras are utilized to ticket drivers that allegedly fail to stop at red lights. Currently, the infraction follows the vehicle and not the actual driver. In other words, the person to whom the vehicle is registered is liable for the fine, not the person who is actually accused of running the light! While the registered owner is not subject to points on his license, the fines seem to be increasing as local governments have discovered a new way to collect revenue. Liability on a “Red Light Ticket” is not always a slam dunk. The burden of proof is still on the county if it goes to trial. If your vehicle has been ticketed for a “Red Light” infraction, call our office for assistance. If you’ve received a ticket for a moving violation in Nassau County, you should call a Traffic Attorney that will work hard to protect your rights and minimize your liability and exposure. Whether you’ve been accused of failing to signal, unsafe lane change, reckless driving, going through a stop sign, failure to yield, ignoring a rail road crossing, passing a school bus, do not go to traffic court alone. Call The Law Office of Guy J. Allen and let him help you with your case. Many times, our clients do not need to take time from work or find a sitter in order to go to court.